FOX's marketing department insists on calling her "adorkable," but that's no reason to hate Zooey Deschanel or her show New Girl. The woman long ago proved her talents, not just with years of credible indie and big-studio comedies and dramas, but with a series of retro pop albums as one half of She & Him. Sure, she can be quirky and weird and dresses in overly colorful, girly outfits that accentuate her trademark bangs and enormous, perpetually startled eyes. But there's no denying she's found her own Gen-Y style niche--no small accomplishment in a world with Lady Gaga. 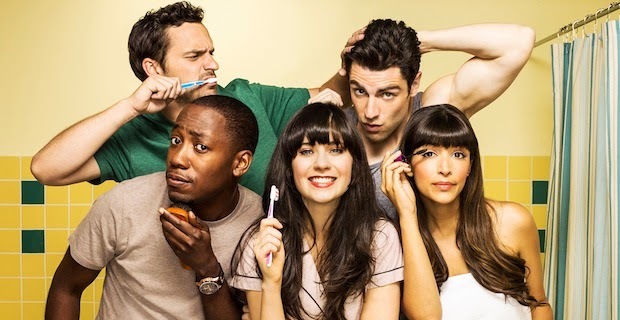 And if you watch New Girl, the single-camera comedy she produces and stars in, you'll see her successfully extend her personal style and humor into what over two seasons has become one of the funniest shows on television. Along with show creator Elizabeth Meriwether and a breakout cast, Deschanel and her writers took a questionable Three Horny Roommates and a Girl premise and transformed it from amusing trifle into something genuinely fresh and inventive. The show's early episodes are an admittedly erratic mix, but the smart, appealing characters and high quality of writing make the potential clear. Like so many comedies--think of Seinfeld's slow-as-molasses first season--the series had to find its tone, its characters' voices, and the strengths and weaknesses of its cast members. But by the time Dylan McDermott's character shows up in a late-season storyline, the pieces are all in place, and New Girl's momentum, confidence, and humor become tough to resist. Deschanel's character, Jess, came in for the most criticism when the show first started. Along with the "adorkable" tag (sigh), she was erroneously singled out by some critics as the latest example of what's called the Manic Pixie Dream Girl (you can Google it). A cute, romantic, quirky grade-school teacher, Jess finds herself in need of a place to live after having her heart broken by her cheating live-in boyfriend. Enter three new roommates: Schmidt, Nick, and Coach (replaced by Winston in Episode 2). Best buddies from way back, these late-twentysomething man-children ultimately give in to Jess's weirdness and charm (and the fact that her best friend, Cece, is a model). Though sometimes pixie-like (and only occasionally manic), Jess is anything but a dream girl, proving just as in need of guidance as her struggling roommates. Much of the comedy in the early episodes stems from the guys playing off Jess's goofy awkwardness ("What have we gotten ourselves into? "), some of which can feel forced depending on your tolerance for a grown woman acting like a clueless girl. But that note lessens as the series evolves, especially as its ensemble nature becomes apparent. "Girl" in the title notwithstanding, this is just as much an ensemble comedy as Cheers or Friends or How I Met Your Mother, the three programs it's most easily compared to (and yes, it approaches their heights). 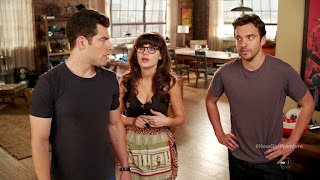 If Jess's character starts off a bit cartoon-like, then so are the show's men, especially Max Greenfield's preening, inwardly sensitive Schmidt--a character (and actor) who was Season 1's surprise MVP. Greenfield's ability to shade the callowness of his former-fat-guy-turned-cad with a little-boy-lost sensitivity is a wonder to behold, right up there with Neil Patrick Harris' less redeeming Barney Stinson. The guy's a douche, yes, but as the show (and characters) ultimately acknowledge, he's more an aspirational douche than an actual one. What makes the series so watchable in even its less assured moments is the clever dialogue, crisp editing, and enormous chemistry among the cast. These are actors who obviously enjoy riffing off each other and finding the most particular--and unexpected--comic beats. That applies equally to well-integrated guest stars like Justin Long, the aforementioned McDermott, and especially Lizzy Caplan--who starts out as Nick's girlfriend but ends up serving as a surrogate for any audience member still aching to slap Jess for her cutesiness. It's one of several adjustments the show makes on its way to broadening Deschanel's character, and it produces one of her most fiery (and funny) speeches ("I do rock polka dots! I have touched glitter in the last 24 hours!"). There's no better way to see all the things New Girl does right than to compare its pilot episode to the unforgivably inert Natalie Portman romantic comedy, No Strings Attached. Both were written by Meriwether, whose voice and characters (and one or two actors) appear throughout Ivan Reitman's film. But they've been so watered down by slack direction and bad pacing, they become a textbook example of Hollywood's inability to deliver the kind of smart, character-based entertainment TV viewers now take for granted. It was wise of Meriwether to hitch her sail to Deschanel and the more writer-friendly environs of television. 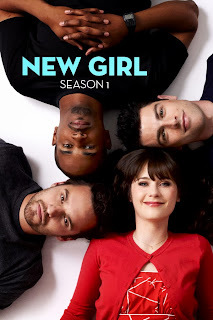 Considering the indignities her work suffered in the movie industry, the critical success of New Girl must have provided a hard-earned sense of vindication--enough, one hopes, that even FOX's 'A' word sounds like music to her ears.